Children are made readers on the laps of their parents. Make St. Patrick’s Day special by sharing a story or two. Here is a list of 10 wonderful picture books about St. Patrick’s Day. I hope you enjoy them! 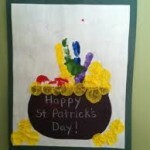 Crafting with kids creates life-long memories. Spend an afternoon with your kids, some paper and glue, and some wonderful conversation. Creativity is life. Create with your kids as often as you can. I wanted to feature a handful of crafts that are SIMPLE. Crafts don’t have to be elaborate or complex. Time with you, and time spent sparking creativity is all that matters. I love art you can hang from the ceiling! Kids get to display their artwork, and you don’t have to clear off your fridge. 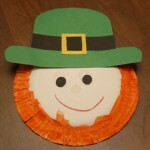 This cute little leprechaun is adorable and so easy to put together! No special craft supplies needed! Your kids will have fun using this as a mask, and putting on leprechaun plays! If you’ve been following the blog for long, you know I’m a sucker for hand-print crafts. 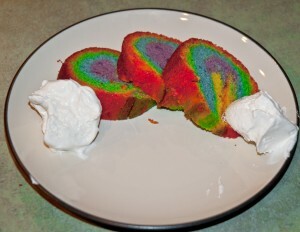 These are some of my all-time favorite things to make with the kids! I love this sweet little pot of gold. Cute. Easy. I love exposing kids to a WIDE variety of painting mediums and want to open their minds to creating art from anything. This is great. Cooking with your child is one of the best things a parent can do! Cooking teaches SO many skills and builds lasting memories. Each of these snacks was chosen to delight CHILDREN. 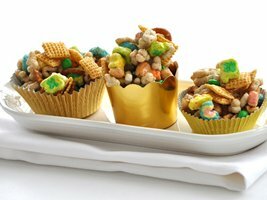 These aren’t the fanciest St. Patty’s day snacks out there, but these will make your child smile. And isn’t that what counts? 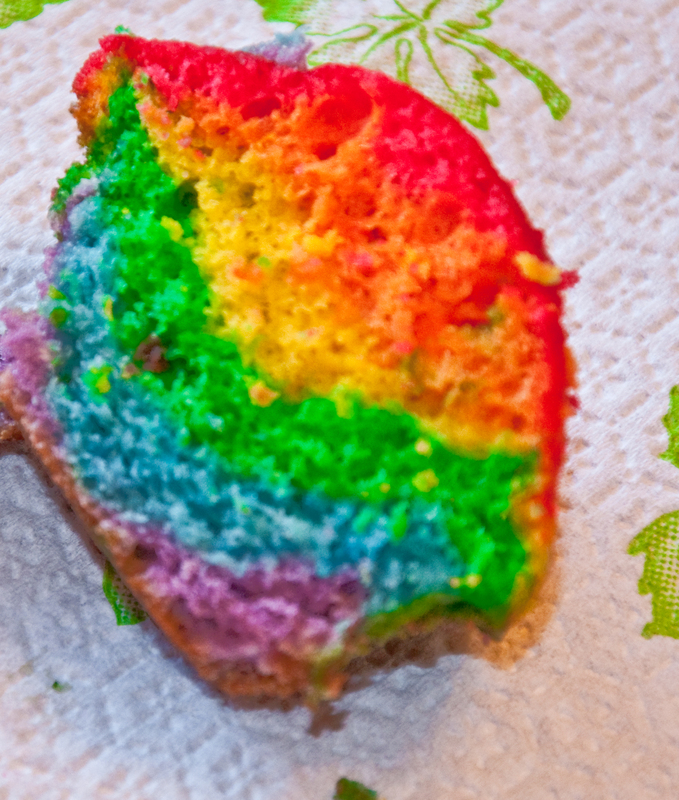 This fun rainbow cake is the perfect treat to celebrate St. Patrick’s Day. 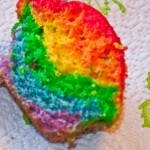 You can make a rainbow Bundt cake, or rainbow cupcakes. My daughter and I had so much fun creating these a few years ago. She STILL talks about this cake all the time! This fun (and easy!) 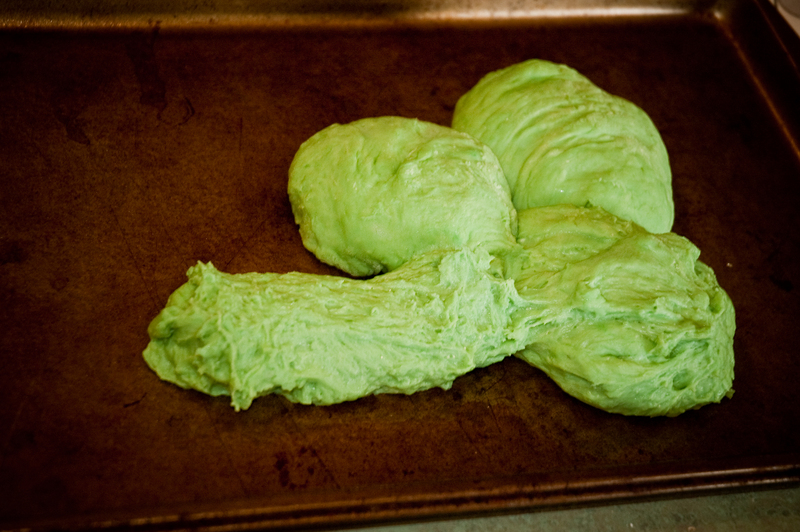 bread is perfect for St. Patrick’s day dinner. 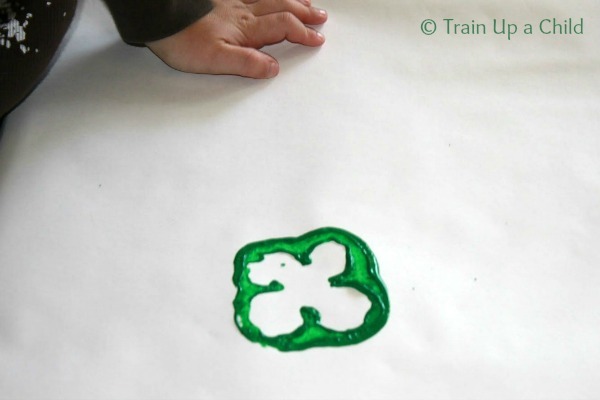 Your kids will love helping you shape the dough into a shamrock. 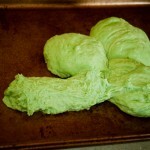 Make one large shamrock, or several smaller loaves. 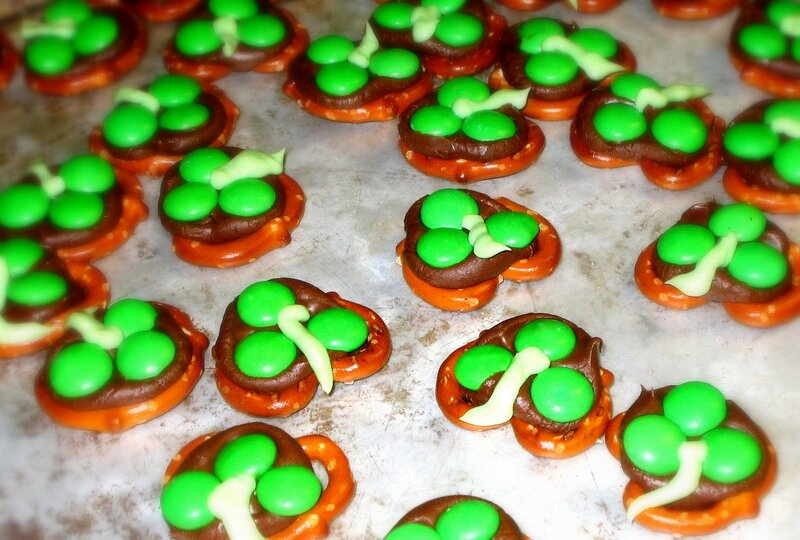 You could even make one “lucky” four-leaf clover. Whoever finds that roll in the basket wins! These are cute and easy! 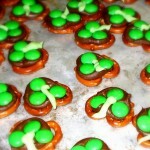 Spread a little frosting or melted chocolate, and add your favorite green candies to make these little shamrock snacks. Yum. 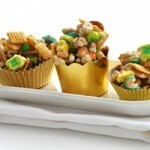 This would make a great snack mix for the lunch box! 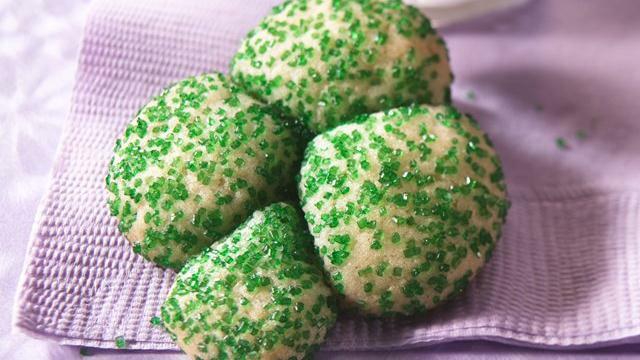 Use your favorite sugar cookie dough, or buy refrigerated and make these simple and adorable shamrock cookies. 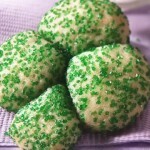 I think I’ll serve these on St. Patrick’s day! 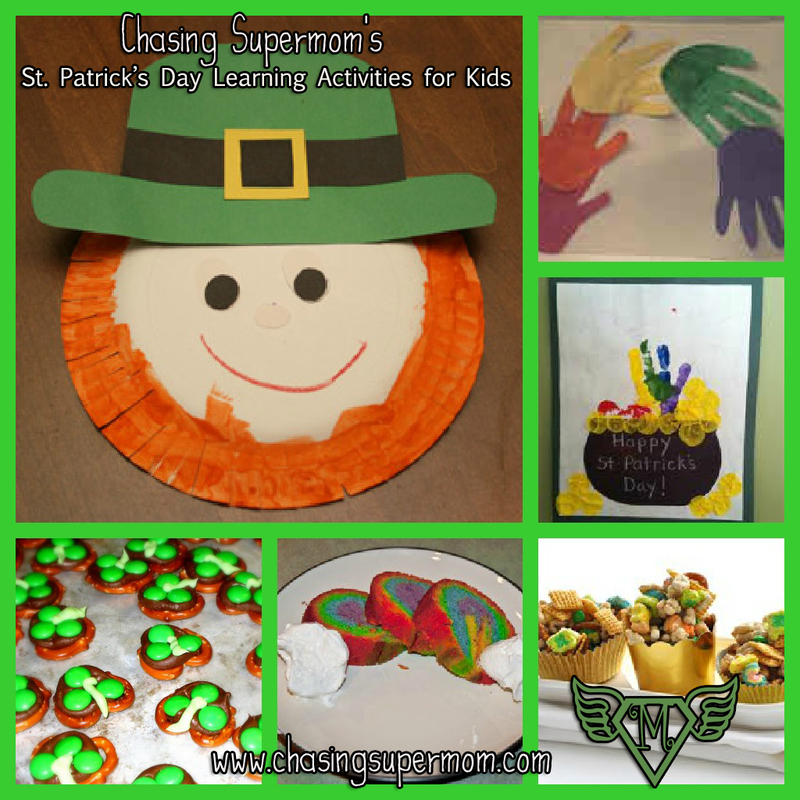 I hope to be featuring lots more St. Patrick’s Day activities, crafts, and snacks over the next few weeks! 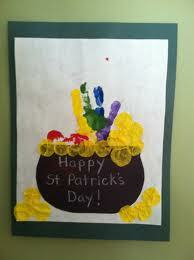 Have fun celebrating with your little leprechauns! Love the crafts. Great for my daughter in laws pre school class. Thank you! So many fun ways to celebrate!